In guidebooks and online resources you can read that we are well-known not only for the quality of our horses and the diversity of our tours. The special care we show all of our customers are these days marked by our modern form of communication already ahead of your tour. We are constantly improving the quality of our services for our riding guests. Prior to beginning the ride, we provide a thorough briefing about horse riding skills and safety. We provide helmets to all riders. Our local guides are professionals that take responsibilities. Sabine speaks fluent English, Spanish, German and French. Don't hesitate to call her, if you have more questions. Our rides leave from different farms around the area of Monteverde, depending on your tour and possibility of transportation. Depending on the luck of the day, we can see toucans, toucanettes, motmots, bellbirds and parrots on a daily base. And every once in a while on the trail we see a sloth. 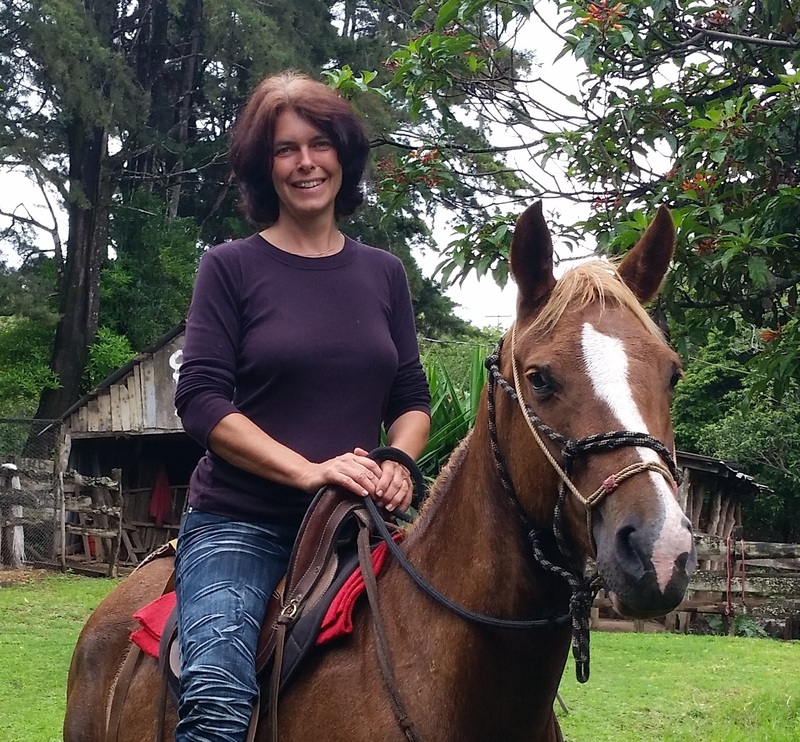 We ride on campesino (farmer) trails that offer excellent views of the Pacific Ocean and the Cloud Forest as well as the stunning local landscape passing coffee plantations and local farm land. Riders with experience get, depending on weather condition across the continental divide. We have been providing safe and enjoyable experiences for families and experienced riders of all ages since 1999. We take pride in the special care and attention we give to all of our customers, especially children and first-time riders. If you are one of our former satisfied customers, we would like to encourage you to write about your experience and post it online, so future guests can find us easier direct. Thank you for visiting and riding with us.